All the cosmetic dermatologic surgery techniques you need–and nothing that you don’t! Successfully performing cosmetic dermatologic surgery starts with mastering techniques… and that’s the focus–the only focus–of this learn-as-you-go guide. 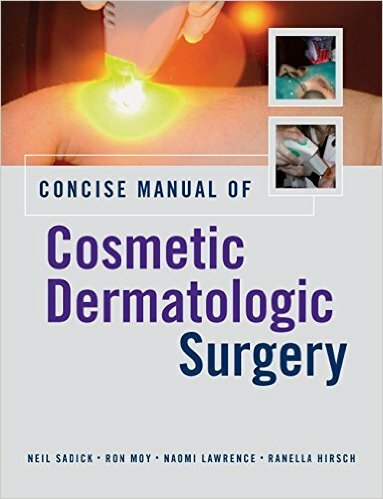 Concise Manual of Cosmetic Dermatologic Surgery is written by four of the field’s preeminent experts who deliver clear, authoritative guidance on the most essential cosmetic dermatology surgical techniques. 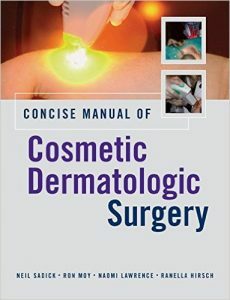 Logically organized by technique instead of problem, the book first reviews the general approach to the dermasurgery patient, providing useful background information before systematically addressing specific surgical procedures. Each templated chapter begins with key points and includes a range of clinically relevant considerations–from set up to common pitfalls–that represent a practitioner’s ideal checklist.